• What does it mean to be a Christian feminist? • What are the essential teachings of Christian feminism? • What happens in the life journeys of some Christian women and men that leads them to embrace the egalitarian concepts of Christian feminism, while other Christians live their lives convinced that the Bible teaches a hierarchical, patriarchal, “complementarian” view of gender? • What does the term biblical feminist mean? • What is inclusive language, and why do those who call themselves Christian feminists place so much emphasis on it? • What are some good Christian feminist books? • Where can rituals, liturgies, music, and other resources be found for use in Christian feminist gatherings, special meetings, or retreats? • How is gender justice related to other forms of social justice throughout the world? If this is the kind of information you’re seeking, you’ve come to the right place. In addition, you can find answers to many other questions on our “Frequently Asked Questions” blog. There you’ll not only see answers to the questions we’re asked most often, but you can also pose new questions of your own. I must have been born a feminist—can one be something without knowing its name? Even as a toddler, my mother said I would rarely cuddle up on her lap but kept sliding off to explore the next new thing. My earliest memory of girlhood rebellion concerned climbing trees. In our mid-20th century Mennonite community, girls and women did not wear pants. 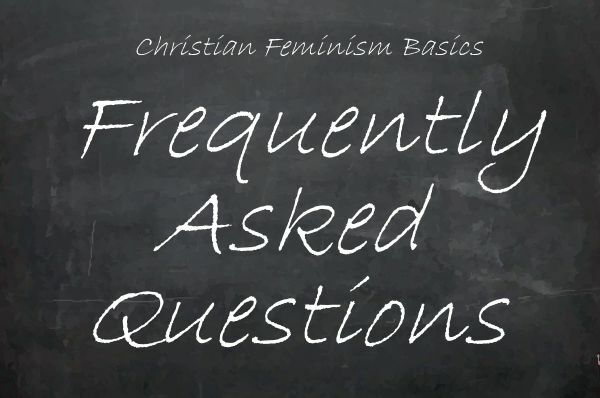 Access all the articles in the Christian Feminism Basics section of the website.